In the last post, I explained why I think goal oriented learning is superior to doing studies with no end goal of using them later. For my students, I'm giving the following goal: make your own 30second - 1minute cartoon. Each month, we will have a different goal to meet, a goal that gets us closer to finishing that cartoon. Over the course of each month, we will go in depth into learning what it takes to accomplishing that monthly goal. 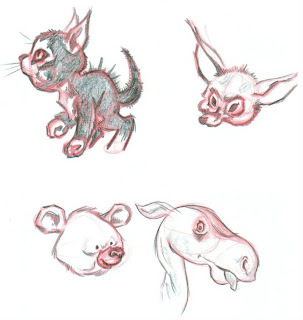 For example, in the first month, we will learn all about telling a story, from outlines and story structure, reading and watching other great stories and analyzing them, to writing and drawing our own clearly told and easy to enjoy stories. 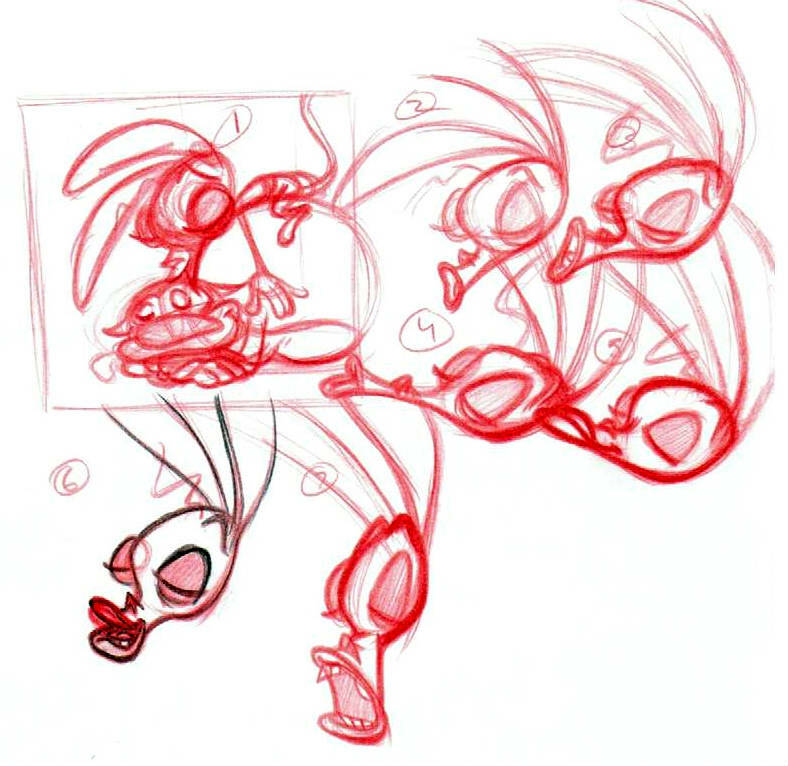 In order to do that successfully, one also has to learn gesture and quick drawing ability and acting and a whole host of other drawing abilities, abilities that you cannot learn without having the goal of making a storyboard. And through a constructive feedback loop, we will refine those skills until the student is ready to move on to the next stage. Learning happens through a process of self-exploration and constructive criticism and experienced guidance. Students, your goal this coming month is to tell a story. During class, I will show you how to improve your work and what I expect to see the following class. You will work on accomplishing the goals we set on your own time. I think the biggest problem with America's schools is not the funding or lack of it. It's not the teachers. It's not the lack of parental involvement. It's not even the students. It's the system of learning. It's a very segregated way of learning. And while that has it's place, 12 years of it is too much. None of that learning is tied into what to do with that knowledge. That results in a lack of real involvement on the part of the student. Learning begins with the desire to learn. And why should one care to read about George Washington, the Magna Carte, and chemistry while in high school? That's not to say I think we should get rid of trigonometry and other difficult math and history courses that seemingly have no effect on paying the rent. What I am saying is that it's easier to learn something when we have a reason to do so. The best way to learn Spanish isn't from a book while doing recitals 5x a week. It's to be stuck in Mexico and have our survival depend on it. Learning Spanish then becomes a means to survive and thrive. Either you learn it, or you go jobless, foodless, and friendless. What schools need are goal oriented learning programs. Learn writing and appreciation for good literature by having the goal of writing a good novel. You'll be forced to analyze structure, grammar, history, current events, essay writing, themes, allegory, and all that other "boring" stuff while knowing why and how to use it. For the math and science guys, have them build a robot or a missile for the US military to use. Of course, they can't do such projects in the 1st or 2nd grade. But when they get to middle school or after they've learned the basics of algebra and sentence structure, maybe in Middle School sometime, they choose a major or education path where they take on a project and go in depth in learning the higher aspects of various disciplines all while accomplishing something worthwhile. The idea is to give them a single goal where they are forced to teach themselves various disciplines and tie them together. The lessons best learned are the ones we teach ourselves. And as adults out of school, we've learned more about history, science, and math because of our fascination with those subjects, our desire to learn more about them. Yet we insist on robbing kids of the way we learned the most by using systems of teaching that have very little effect on maintaining their interest...and our own. Looking back on our lives, would we ever choose to sit through any of our high school classes? I know I wouldn't. I came across an insanely detailed background drawing from Oliver and Company on Animation Backgrounds (a great resource, btw). 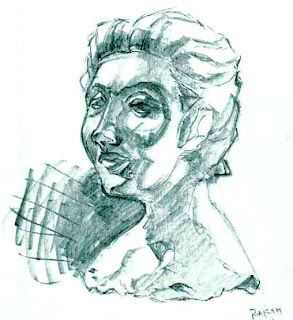 At first, I tried drawing it freehand, the same way I would a portrait. That proved difficult, but insightful. So I decided to draw it in a way I'd never drawn a background before, and I found it extremely valuable to use for complex cityscapes and aerial shots. I also find writing down my process helps me remember it better later, even if I never look at what I wrote down ever again. 9) Break the the boxes down into small buildings. Space the buildings unevenly so as to achieve a naturalistic looking skyline. 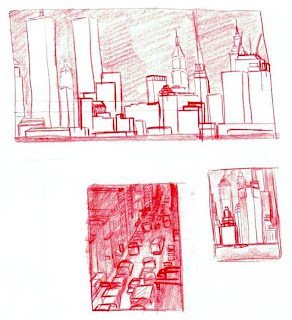 10) Use reference to capture as many landmarks as possible to give the drawing flavor and a sense of time and location. Sick as a dog. See you next week (9/18). Gobelins is world renowned for its animation program. The shorts the students make there look better than anything the professionals in Hollywood have made in the last 50 years, in my humble opinion. Check out their YouTube Channel. Every time I look at one of their cartoons, it makes me wish I spoke French and was good enough to go there. The last time I watched one of their shorts (about a week ago), I quit wishing and started looking into actually going there. I spend an hour every day doing these. And I don't always rely on real life. 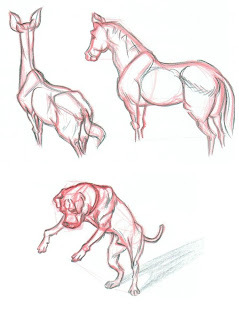 Like for animals and the human figure, I can copy other, better drawings or photographs. For gestures, I can use movies and TV. Sometimes these can be better tools for that type of study. 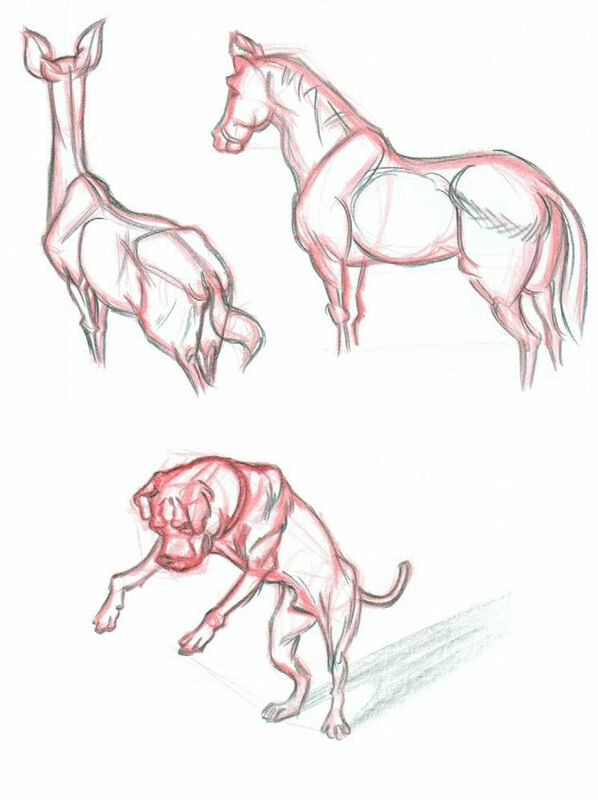 Good animal and human drawings reveal the artist's knowledge of underlying anatomy, things the untrained eye can't spot in real life. For gestures, the ability to pause an action in mid-motion becomes handy. Also, I do my best to copy exactly. As uber-talented illustrator Robert Fawcett once said, the ability to imagine is directly proportional to the ability to observe.